Please note: We currently only ship to the UK, Ireland, Spain, France, Netherlands, Belgium, Luxembourg, Denmark and Sweden. All other countries will not be able to add to basket but can contact their local dealer for products. 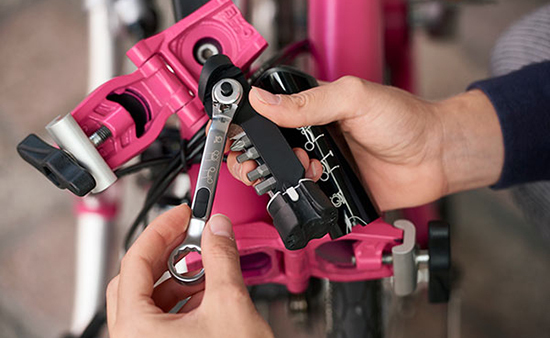 All the parts you need for general Brompton maintenance and upgrades. The best-sellers toolkits, pump, tyres, lighting solutions and other essentials for your bike. 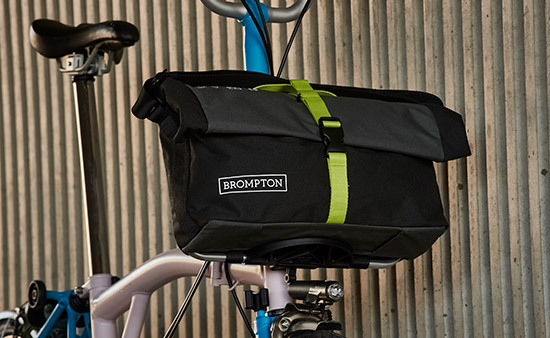 Every bag perfect for you and your Brompton. Using our front carrier block system, the bags lock into place in an instant and come in different sizes, colors and styles to suit you.